Keep your head warm during the chillier winter months with a custom printed Beanie. 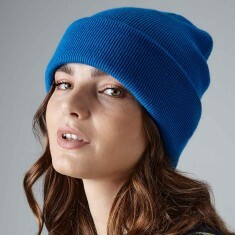 From traditional rolled down promotional beanies to ones with pom poms on, you're sure to find a branded beanie that’s great for keeping everyone’s head warm. 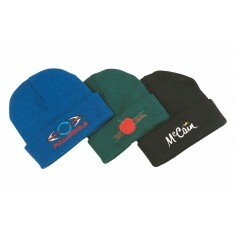 All our personalised beanies come embroidered with your design for a high quality and durable finish. Custom printed beanies are great for selling as retail items or alternatively for handing out when your events team are out and about during those frostier winter months. 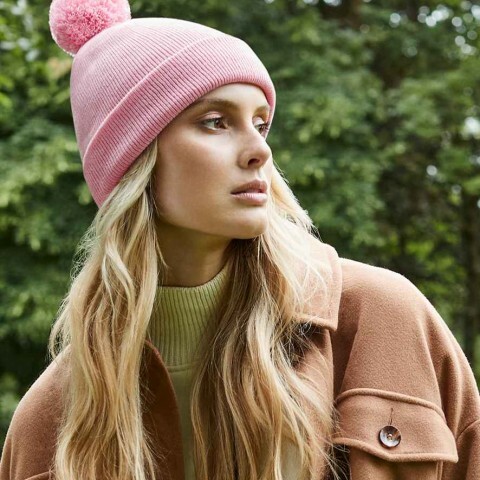 Designed with a traditional and fun pom pom on the top of the hat, our personalised Beechfield Original Pom Pom Beanie is definitely retail worthy. Made from 100% soft touch acrylic and double layer knit make this a premium option and it is comes in 6 classic colours. Looking for something with more variety? Our Beechfield Original Cuffed Beanie is available in 36 colours and is still made from the same soft touch acrylic (unfortunately it doesn’t come with the pom pom). Check out the price of your own custom printed beanies by simply popping your favourite into the quote basket! 100% acrylic. Soft touch. Double layered knit. 6 colour choices. Branded with your design. 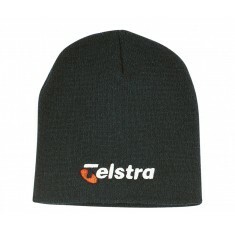 Keep your head warm with our branded Rolled Down Acrylic Beanie. This winter e..
Look forward to the winter weather with our embroidered Acrylic Beanie! 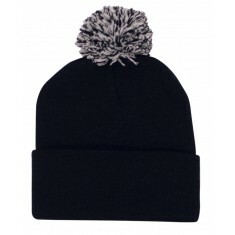 This g..
Stay on trend and warm in the winter months with our Bobble Hat. Available in ..